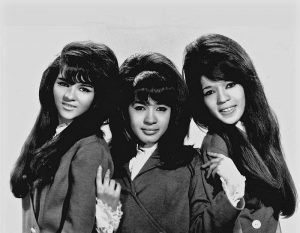 The Ronettes (Ronnie at center). Ronnie Spector will once again sing some of the greatest hits of the 1960s girl group the Ronettes on Feb. 17 at New Hope Winery. Spector was born in 1943 as Veronica Yvette Bennett, and joined with her sister, Estelle Bennett, and cousin, Nedra Talley, to form the Darling Sisters, who were renamed the Ronettes. After playing around New York City with some success, they signed on with Colpix Records, and produced a few singles that didn’t go very far. Then, they signed on with producer Phil Spector (whom Ronnie later married, then divorced, keeping the name), and the rest is rock ‘n’ roll history. Phil Spector was known for his “Wall of Sound” production style, which utilized orchestral instruments, often played in unison on myriad recording tracks to produce a deep, rich sound on the portable transistor radios of the era. Spector produced monumental classics for groups like the Crystals, Righteous Brothers, and even “My Sweet Lord” with George Harrison (a.k.a. “He’s So Fine”). For the Ronettes, Spector brought fame and recognition with chart-toppers “Be My Baby,” “Baby, I Love You,” “The Best Part of Breaking Up,” “Do I Love You?” and “Walking in the Rain.” Phil Spector was also a complete nut job, and was sued successfully by all three Ronettes in 2003 for withheld royalties, and separately convicted of murder in 2009. Meanwhile, lead singer Ronnie Spector has kept rocking on, releasing her album “English Heart” to critical acclaim in 2016. She will be playing the New Hope Winery on Friday, Feb. 17, at 8 p.m. (doors open at 7 p.m.). Tickets are $89, and VIP seating with dinner at 6:30 p.m. is available for an additional $36. 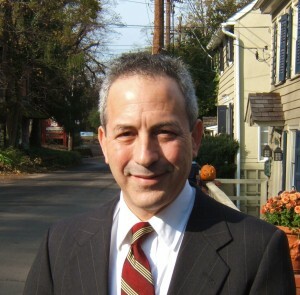 The New Hope Winery is located at 6123 Lower York Road (Route 202) in Solebury; (215) 794-2331.